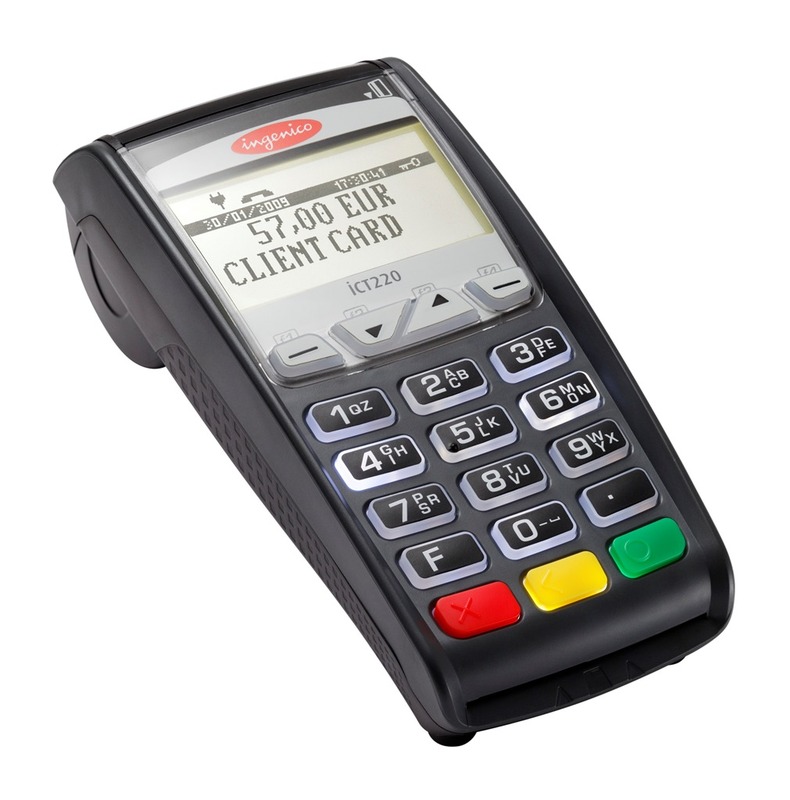 We can provide a range of standard counter-top EFTPOS Terminals that can suit your business requirements. EFTPOS Central is able to source terminals from several manufacturers and this allows us to provide you with a truly fit-for-purpose solution that meets your needs. One Piece Terminal – This is generally a standalone terminal that both the merchant and cardholder use to complete a transaction. This is often the cheaper option for merchants and well suited to environments where both the merchant and cardholder have easy access to the terminal. Handover Unit – This type of unit has the PINPad sitting in a cradle above the printer. As with the one piece terminal, both the merchant and cardholder use the PINPad to initiate and complete a transaction. The advantage is that the PINPad can be ‘passed over’ to the customer for them to complete their part of the transaction. This is a popular type of configuration for businesses with split level countertops or where the customer may be some distance from the merchant. Two Piece Terminal – A terminal in this configuration has a separate PINPad connected to the main EFTPOS terminal that allows the merchant and customer to complete their steps in the transaction independently. It is extremely well-suited to high traffic environments like cafes, bars, retail stores and bakeries. The main advantage of this configuration is that the PINPad can be placed in a convenient location up to 3m from where the main unit resides. The new Ingenico iCT220 terminal is EMV level 1, level 2 and PCI PED 3.0 certified, delivering security-as standard and peace of mind for both the consumer and he merchant. Utilizing ARM9 and ARM7 microprocessor technology, the iCT220 countertop terminal combines innovation and performance - assuring a faster, more convenient and more reliable transaction every time. 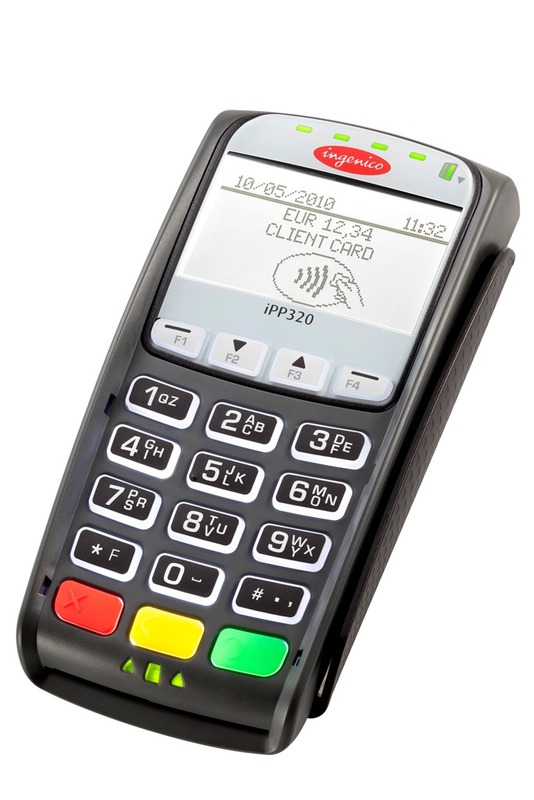 With compact design and ergonomic styling, Ingenico's iCT220 offers a huge range of functionality. Clear backlit graphic displays, high contrast white screen allows easy reading, while the intuitively backlit designed keypad, with large keys, delivers ease of use for both merchant and consumer. Equipped with an unparalleled array of communication technologies, such as dialup and Ethernet, Ingenico's iCT220 delivers any time, anywhere connectivity. The new Ingenico iCT250 terminal is EMV level 1, level 2 and PCI PED 3.0 certified, delivering security-as standard and peace of mind for both the consumer and he merchant. The iCT250 has been designed with the goal of ensuring maximum ease-of-use for both merchants and consumers. Small and easy to handle, the iCT250 features large backlit keys and a large colour screen making it easy to read transaction-related messages and access richer menus and messages. With built-in Contactless capability, it is a great integrated unit for retailers. Combining as many as 3 communications options; dial up, Ethernet and GPRS the ICT250 is by far on of the most feature rich terminals available in the market. With a full colour screen, the opportunities are endless. Ingenico’s IPP200 series PIN Pad solutions make it simple for merchants to accept debit and other types of payment that require customers to enter a personal identification number (PIN). Designed to increase customer confidence in the security of their transaction, and enable merchants to offer an additional payment choice, Ingenico’s PIN Pad enables organisations to accept PIN-based transactions quickly and easily. Paired with an iCT220 or iCT250, the advanced and compact design and outstanding versatility make this PIN Pad a truly compelling, next generation solution. This ergonomically-designed customer-input device features everything needed to facilitate the acceptance of mag-stripe, EMV chip and contactless cards, and NFC mobile wallets. It is made for merchant environments that benefit from a two-piece configuration: customers can insert, swipe or tap for payments, while a dedicated iCT220 or iCT250 clerk-facing terminal remains on the counter. 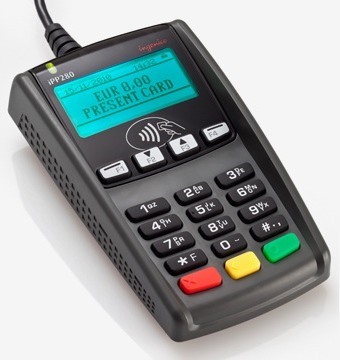 The VeriFone VX 520 Colour is a countertop payment device that marries outstanding performance with an exceptionally slim, ergonomically designed form factor. This small terminal takes up minimal counter space, making this the perfect solution for smaller areas. The 2.8” colour screen provides an exceptional customer experience. It is also very fast – giving our customers every advantage to stay ahead of the competition. VeriFone’s VX 520c also provides a host of flexible connectivity options to ensure it’s future-proofed for New Zealand’s ever changing payments environment. 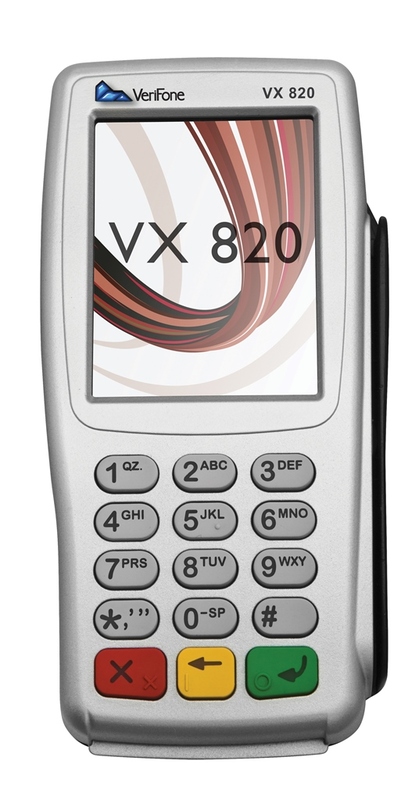 The VX 520c is also contactless enabled to provide customers with the latest Tap and Go technology. The VeriFone VX 820 DUET is the perfect combination - a stylish PIN Pad along with a functional base to create a feature-rich countertop device. The 3.5” colour touch screen sets this device apart, and provides an exceptional customer experience. It is fast - giving our customers every advantage to stay ahead of the competition. It is incredibly easy to use and readable in any environment. VeriFone’s VX 820 DUET provides ultra-fast processing, enormous amounts of memory to support multiple applications, plus powerful security in a sleek, consumer-facing countertop device. This device is NFC ready and provides customers with the latest contactless Tap and Go technology. Built upon the VX evolution platform, the VX 820 DUET ensures reliability. 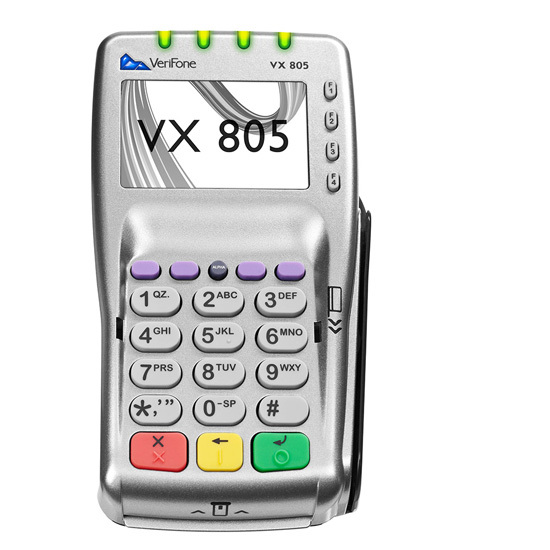 Verifone's VX 805 delivers reliablity, usability and next-generation contactless/NFC capabilities, all in one amazingly convenient PIN pad. 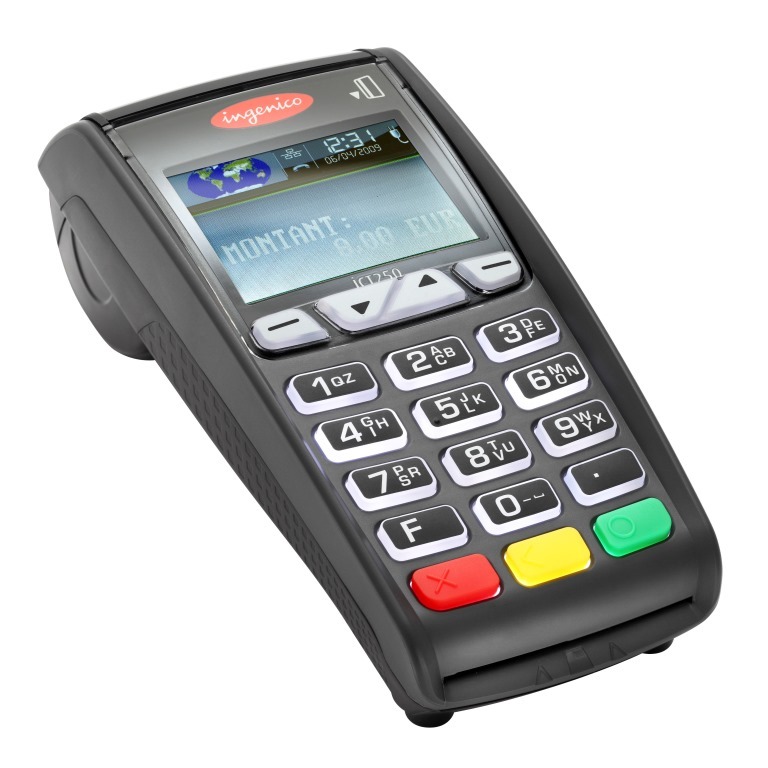 Ideal for large or small retailers, the VX 805 offers excellent value with full functionality. 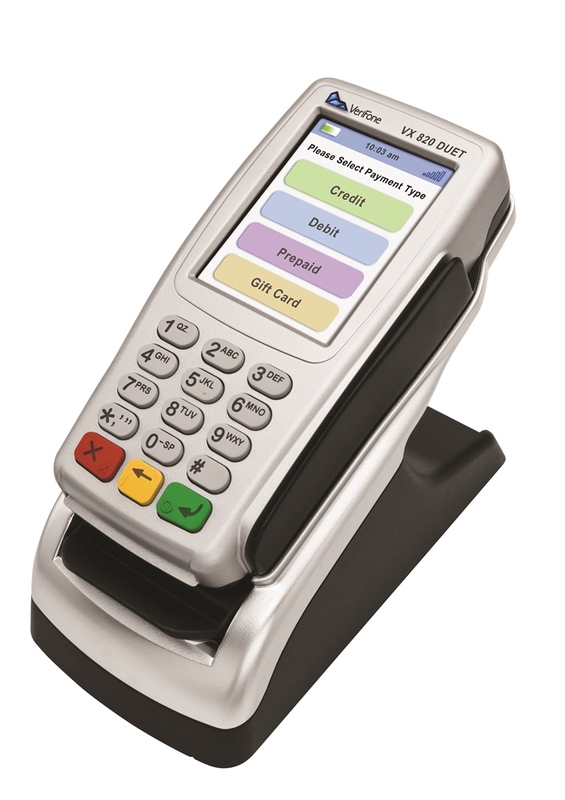 VX 820 PIN pad puts unmatched payment power and convenience into consumers’ hands. Incredibly easy to use and readable in any environment, the slim, stylish payment device provides access to limitless capabilities – while ensuring unsurpassed security and reliability thanks to the VX Evolution platform. It is made for merchant environments that benefit from a two-piece configuration: customers can insert, swipe or tap for payments, while a dedicated Vx520 clerk-facing terminal remains on the counter.